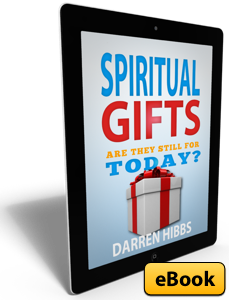 There has been a heightened interest in the debate over whether God still operates through the super-natural gifts of the Holy Spirit today. I have personally experienced God’s move through His spiritual gifts, but I also understand people who are hesitant to believe in them. With anything as good and beneficial as God’s spiritual gifts, there is excess and silliness that turns people off. I hope that this book will give you a new desire to seek God for His supernatural gifts as well as temper your understanding with some basic theological foundations of the gifts.